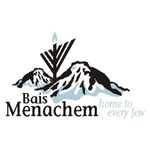 Bais Menachem strives to ensure Jewish continuity through increasing Jewish pride, knowledge, and commitment and works to overcome differences between Jews by creating a caring, non-judgmental environment. We believe in the right of every Jew to experience the beautiful treasures of our Jewish heritage, regardless of religious background or financial status. For these reasons, Bais Menachem is committed to provide a wide variety of religious, educational and social services, according to the teachings of The Lubavitcher Rebbe, toward the goal of making our world a fitting dwelling place for G‑d. We have a growing congregation of Jewish families from throughout the Denver Metro area. Come experience our home. Come make it yours. Simply Tsfat- Live in Concert!